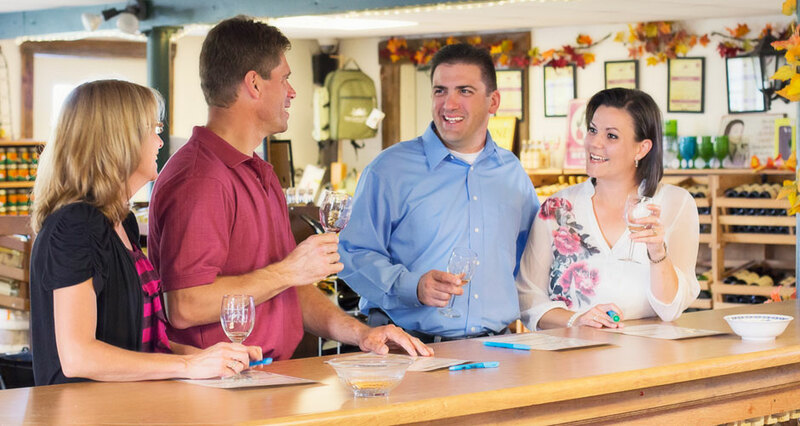 Experience the charming atmosphere of Thousand Islands Winery by visiting our Tasting Room, housed in the original 1923 Sears & Roebuck barn. Be sure to ask for a tour from our friendly & knowledgeable staff. Our team will reveal information on our award winning wines, history of the property and keep you amused with accounts from yesteryear, right up to today. Learn the wine making process from growing to harvest, bottling to tasting, & everything in between. Put your taste buds to the test and choose from TIW’s 23 wines! Wine purchases by the bottle & glass are available. Buy a bottle & purchase some local artisan cheeses… picnic on the grounds or have a seat in the barn loft – stay with us for a while and pamper your taste buds. We sell cheese, crackers, snacks, chocolate, etc. You may bring your own food to picnic on the lawn but no beverages, including water. ALL beverages must be purchased inside our tasting room, and we reserve the right to inspect any coolers. It is against our NYS liquor license to have anyone bring other alcoholic beverages onto our property. 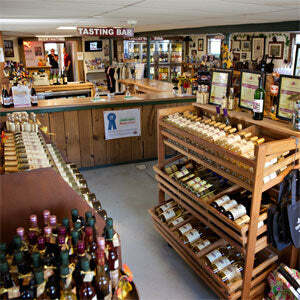 *NYS Law prohibits us from allowing any alcoholic beverages not purchased inside our tasting room onto Winery grounds. Any found will be confiscated and you will be asked to leave. NO PETS ALLOWED. SERVICE ANIMALS SPECIFICALLY TRAINED TO AID A PERSON WITH A DISABILITY ARE WELCOME. Open year round, 7 days a week. Closed Christmas Day.